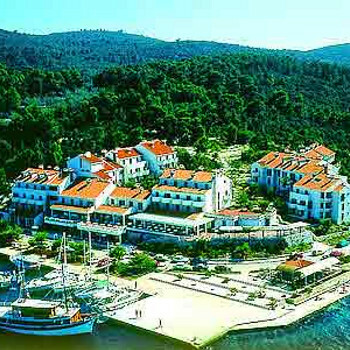 Located within the National park of Mljet, near to the salt water lakes, this peaceful hotel enjoys a beautiful and peaceful setting. The hotel offers good accommodation and plenty of facilities. The hotel was fantastic, staff great,friendly,helpful and honest and not after your money i.e.safety box free. mini bar in each room same price as bar which in turn is same price as other bars on island. Entertainment poor but did not matter as we were chatting and getting on with other Brits staying there. You want a good hotel at a good price without all the comercial crap this is the one. Not a bad word, not for young families really though more a walking and relax holiday. Food was great and self service, basic english breakfast,great evening lunch which caters for everyone, not just chips.